RapidWeaver 8.1 – Create template-based websites rapidly. Next story Transmit 5.2.2 – Excellent FTP/SFTP client. Previous story Permute 3.0.8 – Easy-to-use, drag-and-drop video conversion. skEdit 4.1.18 – HTML/PHP/ASP/ CSS ColdFusion editor (was skHTML). 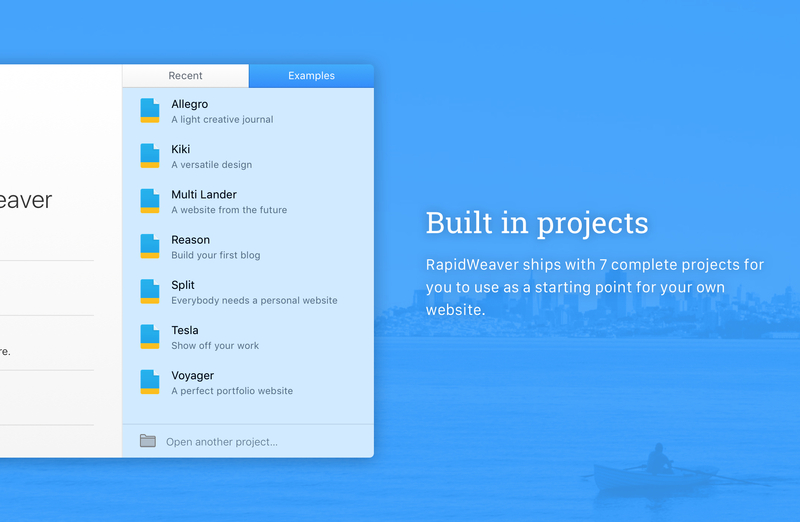 RapidWeaver 6.0.2 – Create template-based websites rapidly.